Why Buy Honda Certified Pre-Owned? What are the best new features of the 2019 Honda Civic? Shoppers near Denver, CO in the market for a stylish and innovative sedan are in luck with Honda! 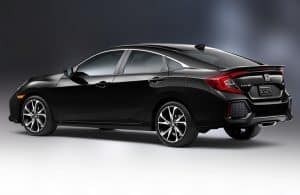 The Honda Civic has been restyled for the 2019 model year, and now offers a number of newly-standard standard features, a new trim levels and more! The tenth-generation Honda Civic is more high-tech for the new year, offering more features than ever before on even the base model! Keep reading to take a closer look at the new features and additions found on the new 2019 Honda Civic! Check Out Our Inventory of New Civic Models! Android Auto™ and Apple CarPlay™ connectivity will be standard on all models, excluding base (LX) models. A 5-inch touchscreen is standard on LX models, while higher trim levels feature a 7-inch touchscreen for the Display Audio infotainment system. 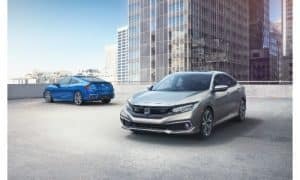 Additionally, new 2019 Honda Civic models will include a new Sport trim that is placed between the base model (LX) and EX models. The new Honda Civic Sport offers the choice between a six-speed manual transmission and the Continuously-Variable Transmission (CVT), a center-mounted exhaust outlet, 18-inch alloy wheels, a decklid spoiler and black fascia accents and an upgraded infotainment system with a larger 7-inch touchscreen, as well as Android Auto™ and Apple CarPlay™ connectivity. What is the Honda Sensing® Safety Suite? 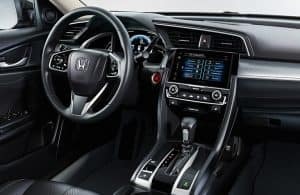 The Honda Sensing® suite of advanced safety technology is included as standard equipment across all trim levels of the 2019 Honda Civic at Planet Honda. Learn more about the high-tech and innovative safety features of the Honda Sensing® suite! The 2019 Honda Civic is coming soon to Planet Honda. Follow our blog to learn when the new Honda Civic rolls into Planet Honda and how it compares to the Toyota Corolla. Schedule a test drive of a new model near Denver, CO today! 0 comment(s) so far on What are the best new features of the 2019 Honda Civic?